Training continues, although recently training has consisted of strength training and cardio work-outs at the gym as I work through gear and logistical details for the upcoming trip. As such, I haven’t spent as much time as I’ve wanted in the actual mountains, mostly due to an unstable snow pack and high avalanche danger, but I hope to get in more actual climbing in the weeks ahead. Carla and I went home to visit my parents the weekend of 2/2/2012 and also celebrated the one-year anniversary of our first date, which was a major milestone for this perpetual bachelor. We had a really nice time with my folks and enjoyed weather in the 70s and even a few strolls on the beach, which provided quite the contrast to what lies ahead. This past weekend, my best friend growing-up, Joey Suttle, came to visit. 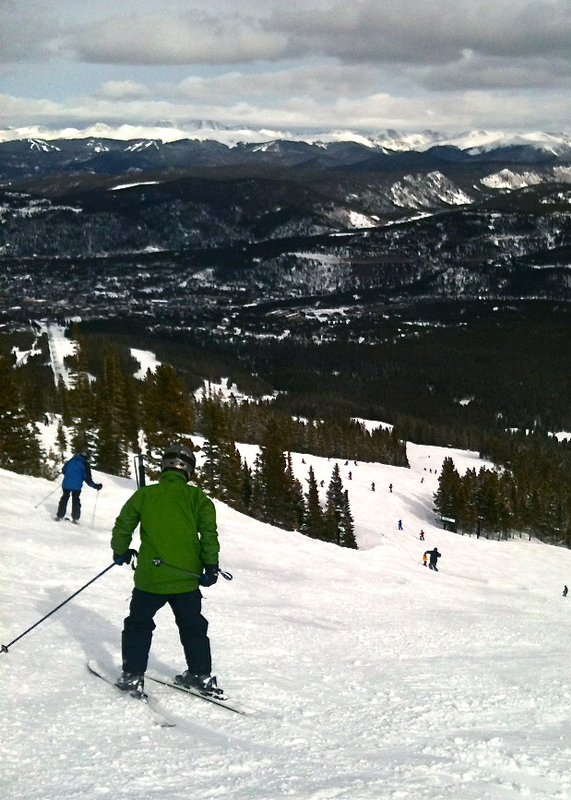 We went to Widespread’s farewell (for now) acoustic “Wood Tour” on Friday and then skied at Breckenridge on Saturday. It was a short weekend, but it’s always great to catch-up with close friends, especially prior to a big trip like this. It seems to help me keep things in perspective, while also serving as a reminder of what a major undertaking this particular trip is going to be. Thanks for coming out, Joe.